Apple might offer a new Apple iPad next year that ditches a feature of Physical Home button and will introduce a device with only the display dominating the front. 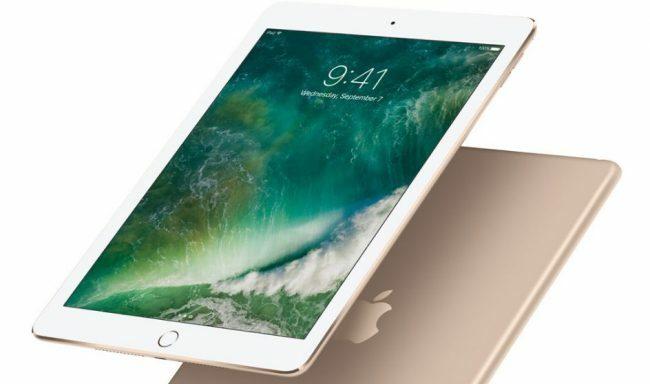 It is expected that the upcoming 10.9-inch Apple iPad won’t have a home button and in the place of home button there is a virtual home button, which will be embedded underneath the glass display. The button would support Touch ID, even though it would not work like a standard physical Home button. The next iPad will have thinner bezels and will measure a 7.5 millimeters thick, which is about the same as Apple’s original iPad Air from that launch in 2013. Because this feature could make the iPad thicker. The uptick in product depth is likely necessary to make room for the iPad’s battery and the display technology that supports Apple Pencil. Previously the company has always sold its tablets and its smartphones with a physical Home button under the display. While Apple has made several changes to the button over the years, including adding its Touch ID fingerprint sensing technology to it, the company has always kept it in place. The Company launched this year the iPhone 7, in which Apple converted the Home button into more of a sensor that does not actually click in like a traditional Home button. And that does not have any mechanical component and uses a taptic engine for force touch feedback. Many have said it could be the precursor of the a future iPhone that moves the button beneath the glass display. While the Home button’s removal is the biggest aspect of this story – assuming that part proves accurate. While Apple has confirmed on its plans for the future. With Apple expected to launch this iPad in the first half of 2017.